Chiropractic gives you a safe, effective way to help your body heal. We’ve seen it change so many lives, having incredible power to impact health challenges. Dr. Wood uses specific, gentle adjustments that correct subluxations (misalignments in the spine that affect your nerve system). By restoring your normal nerve function, your body will regain the ability to heal from the inside out so that you not only have fewer symptoms and less pain but better function, health and performance. With gentle adjustments, improved nerve system function has the potential to improve many health challenges because the nerve system controls the function and healing of every cell and tissue in your body! You might also find you have greater energy, better sleeping patterns and an increased ability to cope with stress. Research has consistently shown reduced levels of stress hormones and improved brain function after adjustments whether the patient had pain or not. We are often told that our approach is unlike anything patients have experienced before, and we are happy to talk through every step of your appointments before getting started. Bad posture indicates that there may be a problem with spinal misalignments that are causing nerve interference. These subluxations can reduce your body’s ability to function and heal. Dr. Wood provides postural corrective care by improving the alignment of the spine, improving nerve function and your posture. This change allows the power that made your body to heal your body, resulting in improved function, healing and relief. 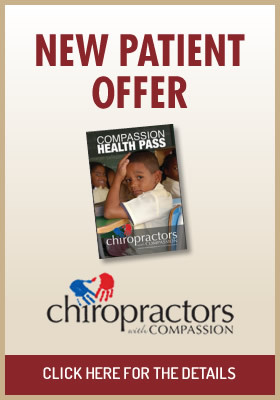 We’ve found that children respond quickly to chiropractic care. If subluxations are found, the child will function and heal better with them corrected, whether they are causing symptoms yet or not. Sometimes subluxations will cause symptoms even in newborns, such as digestive issues, colic, reflux, reduced movement, pain or headaches. Symptoms are not a reliable way to check for subluxations. With children especially, the only way to know if subluxations are present is to have them checked by a pediatric chiropractor. By correcting subluxations early in life, we can stop or reduce many common issues that may have continued into adulthood. You’ll see many younger clients in our office who can’t wait for their visits. They jump right up on the table or compete with their brothers and sisters over who gets to see Dr. Wood first. Others climb right on the table, change the paper on the headrest and lie there waiting, totally at ease. 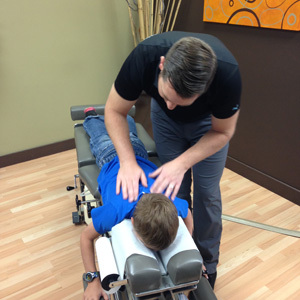 Dr. Wood, Chiropractor Kelowna, focuses on analyzing your posture and alignment. X-rays can be taken to confirm if there are changes to your structure. From that, we’ll create a plan to help you get better and feel relief. We may recommend more frequent visits during the initial phase of care. During this stage, we’re trying to make changes to the unhealthy patterns your muscles and ligaments have gotten used to, retraining them to proper alignment. Once the unhealthy patterns change and shift back to normal, you’ll see us less often and have a choice to enter a wellness phase of care. In this stage, you’ll have regular checks to reduce the chances of your problem reoccurring and to maximize your overall health in the future. If we check your spine and you don’t need an adjustment, you won’t be charged for the visit, and we see that happen almost every day in our office. Dr. Wood is here to help people of all ages with any health challenges function at their best. We accomplish this using a variety of different techniques for comfortable, specific adjustments. Focusing on your pelvic alignment, we use blocks and pressure points to help your body heal. Are you curious about what we can do to increase your wellness? Contact us today to find out about our new client special offer!